LCCAC has experienced a significant increase in reports of crimes against children. In 2010, 209 forensic interviews were conducted. In 2018, 1050 forensic interviews were conducted. (Lake County, IL April 03, 2019) April is National Child Abuse Prevention Month and the Lake County State’s Attorney’s Office’s Children’s Advocacy Center (LCCAC) has partnered with Motor Werks of Barrington, Illinois to help spread awareness. Motor Werks will be conducting a series of planned events with their employees to help spread awareness. Every Friday during the month of April, Motor Werks’ employees will have the choice to contribute $5 to the cause in exchange for wearing blue jeans. On April 24th, Motor Werks will encourage their employees to wear blue in representation of national “Dress in Blue Day”. They will be wearing a sticker which says, “Ask me why I’m wearing blue?” to help spread awareness and educate their patrons. Blue ‘Jolly Ranchers’ candy will be distributed along with business cards that contain resources for those seeking help and information. 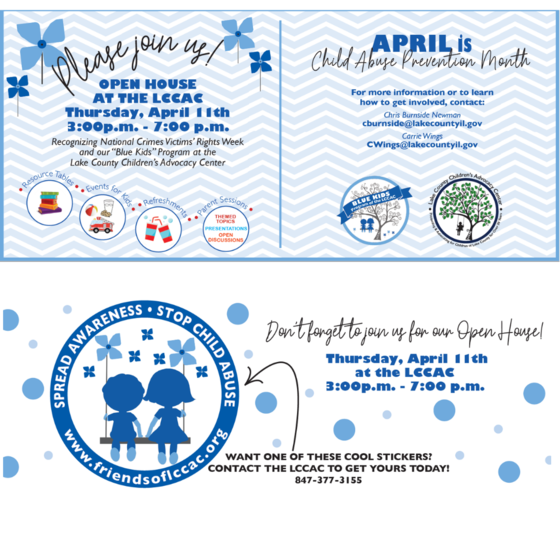 In addition, the Lake County Children’s Advocacy Center will be hosting an ‘Open House’ on Thursday, April 11, 2019 from 3p.m. until 7p.m. at the LCCAC 123 N. O’Plaine Road in Gurnee, IL 60031. They will be recognizing April as National Child Abuse Prevention Month as well as recognizing National Victims’ Rights Week. There will be resource tables, events for kids, light refreshments, and educational sessions. 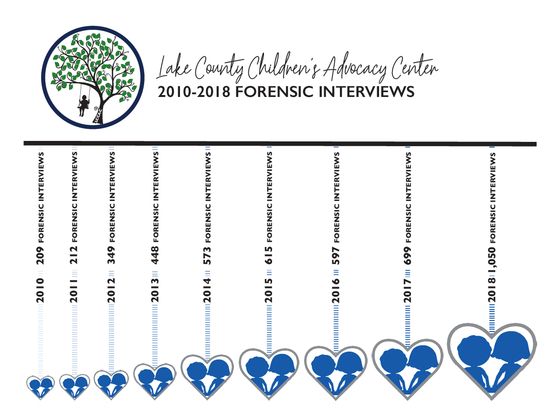 'Blue Kids' is a program of the Lake County Children’s Advocacy Center working in partnership with Lake County agencies and community groups. Their goal is to raise awareness on child abuse prevention. Advocating that all children deserve a chance at a safe childhood makes a great impact on those who may be seeking support and safety. The LCCAC’s mission is to provide a safe environment for child victims of sexual and physical abuse. The goal of the center is to investigate and help successfully prosecute these offenders without further trauma to the child. 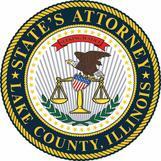 The LCCAC is a Division of the Lake County State’s Attorney’s Office. They are accredited through the National Children’s Alliance which ensures the highest standard of care to the victims they serve, and is also a member of the Children’s Advocacy Centers of Illinois. The LCCAC has operated as a nonprofit organization since 1987. LCCAC has experienced a significant increase in reports of crimes against children. In 2010, 209 forensic interviews were conducted. In 2018, 1050 forensic interviews were conducted which reflects the power of education. "The significant increase in new cases coming to our Children's Advocacy Center is a direct result of the collaboration between all of our community partners. Reporting these crimes is very dependent on system response and the reputation of the criminal justice system," said Michael G. Nerheim. "It speaks volumes to our alliances that more victims are coming forward and seeking help, knowing they have support from the community. Events like these are extremely important because they show victims that they are not alone." For more information, please contact Carrie Flanigan at cflanigan@lakecountyil.gov.